With so many people en route to Koh Phi Phi, waiting until the last minute to find a boat could leave you stranded for over a day. Book your water transfer in advance and guarantee your spot. Complimentary pickup takes you and your luggage from your Phuket hotel to Rassada Port. 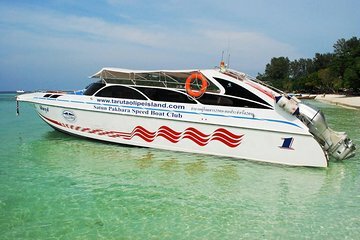 Enjoy a direct 60-minute transfer to Koh Phi Phi, where you can easily walk to your accommodation.